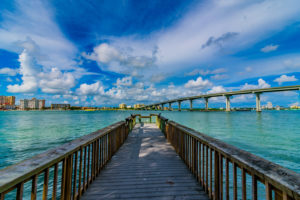 Clearwater Beach, Florida – Yesterday it was announced that the Indigo Beach Residence & Suites, a new Clearwater Beach real estate condo development to be built on the site of the old Adam’s Mark Hotel on south Clearwater Beach is the latest casualty in the changing Clearwater real estate market. They announce that the Indigo Beach Residence & Suites to be built on Clearwater Beach Florida been canceled. All Indigo condo deposits are now being returned to the would-be Clearwater Beach buyers of the Indigo condos on south Clearwater Beach. This is just another sign that with all the recent Clearwater and Tampa Bay condo conversions, the new condo developments, skyrocketing insurance rates and high property taxes, especially for those that don’t qualify for our homestead exemption -most Clearwater Beach condos prices have risen to a level that are out of reach for most at over $600,000 on average compared to the mid $300,000s just 2-3 years ago. There is talk of attracting a signature hotel to this fabulous piece of Clearwater Beach real estate – the benefit to Clearwater Beach would be an influx of tourist and tourtist dollars year round – this is a great financial engine to Clearwater’s tourist driven economy. Nine projects totaling $1.4 Billion were schedule but now only the Marquesas Clearwater beach condo project is on schedule the rest have been delayed or cancelled. In these changing times having a real estate agent (or 2 in our case) working for you is a real asset! We make sure our condo and home buyers on Clearwater Beach or anywhere in Tampa Bay get great deals – guaranteed. We’d love to talk to you about how we can help you find the perfect property – home or condo at the perfect price. Looking to Buy a Clearwater Beach House? Want more info on Clearwater Beach Real Estate? Search the Clearwater MLS (multiple listing service) of single family homes, condos, villas and townhomes. We specialize in helping you buy a Clearwater real estate bargain (foreclosures, short sales, REO or bank owned properties). Want to sell your Clearwater home? First you’ll want to ask, “What’s my home worth right now?”. Our experience shows it depends on where YOU live so we’re please to offer home sellers a FREE Comparable Market Analysis on your home for your neighborhood! No obligation, of course. Today in the Tampa Bay real estate market homes are selling for what they sold for in 2004. If you bought your property in the last 5 years or utilized your home’s equity you may owe more on your home than it will appraise for which means selling for what you owe in today’s market almost impossible without an approved short sale. It’s important that you act now, be proactive and get professional advice now. Call us to schedule a FREE private real estate consultation to fully understand your home selling options (no pressure no hassles – guaranteed). We’d helped many families sell their Clearwater homes, quickly and painlessly even in this difficult Tampa Bay real estate market. One of our happy home sellers even dubbed us the painless Realtors. In fact, we may already have a buyer for your property too because we understand that over 84% of home buyers today are finding their next house on the internet which is why when you use our Wise Home Selling Plan we make sure they are seeing your home first. Local Clearwater or Clearwater Beach Florida Relocation expert.